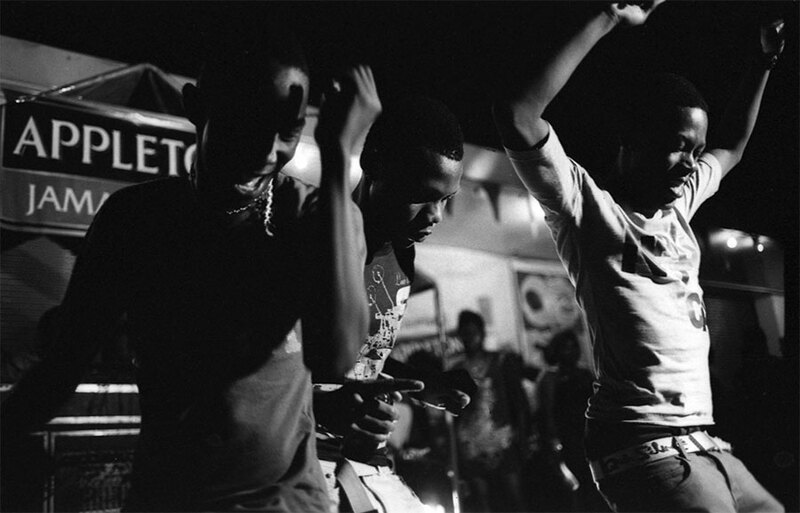 I partnered with photographer Alessandro Simonetti in December 2009 to document the popular, and now world-renowned Jamaican street dance Passa Passa. The resulting book project, Small Kings, is a collection of impressionistic cameos and a long-form text that speak to the people, the place and the mood of one very memorable evening in Tivoli Gardens. 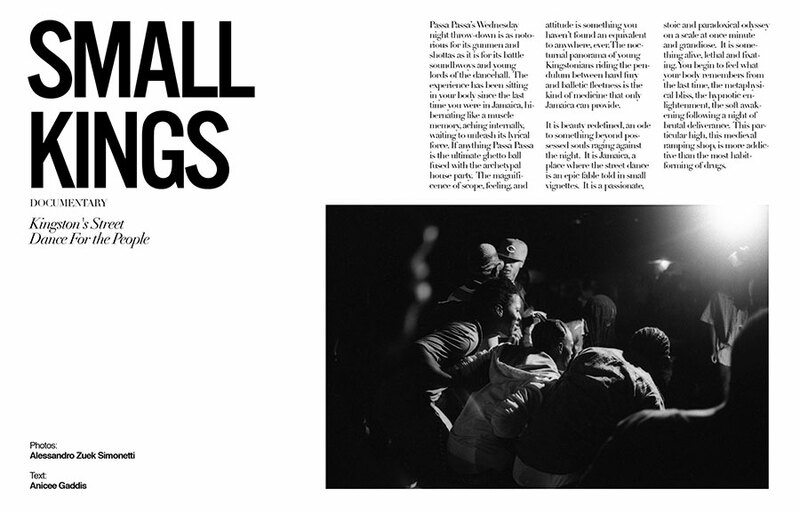 Considering that the party is recognized as an iconic street dance worldwide, Small Kings serves as an homage, a tribute and a before-and-after account of one of Kingston’s most celebrated rituals. Small Kings was originally published by Automatic Books in 2011 and sold out within a few weeks of its release. There’s been talk about hitting Passa Passa ever since you arrived back in Kingston. The first Wednesday came and went; your excuse was that the street dance starts too late, usually around 3 AM, and you were tired and couldn’t find a ride. Still, you woke up on Thursday morning feeling empty with disappointment because having been before you know that the weekly ritual is the stuff of life. Passa Passa’s Wednesday night throw-down is as notorious for its eye-popping divas and screwface shottas as it is for its battle soundbwoys and young lords of the dancehall. The experience has been sitting in your body since the last time you made it to the dance, hibernating like a muscle memory, waiting to unleash its lyrical force. The following week you make definitive plans. You ask your friend Grant to drive you and take a long afternoon nap in the sun. You agree to meet some locals at the uptown club Fiction around midnight, intending to make your exodus in time to arrive for the Passa Passa warm-up. All goes as scheduled until the uptown posse decides it’s too dangerous for you to show up on your own; one foreigner too many, they say, too much static, too much unnecessary risk. These are tough times, they tell you, especially in the Tivoli Gardens quarter that has been home to Passa Passa for close to a decade. And anyway, they say, it’s their party, not yours. As you sit and you listen, you focus on the activity in the parking lot and check your watch for the time. When Grant finally pulls up, you say your goodbyes and are relieved suddenly to escape the atmosphere that is doing little to steer you off course. 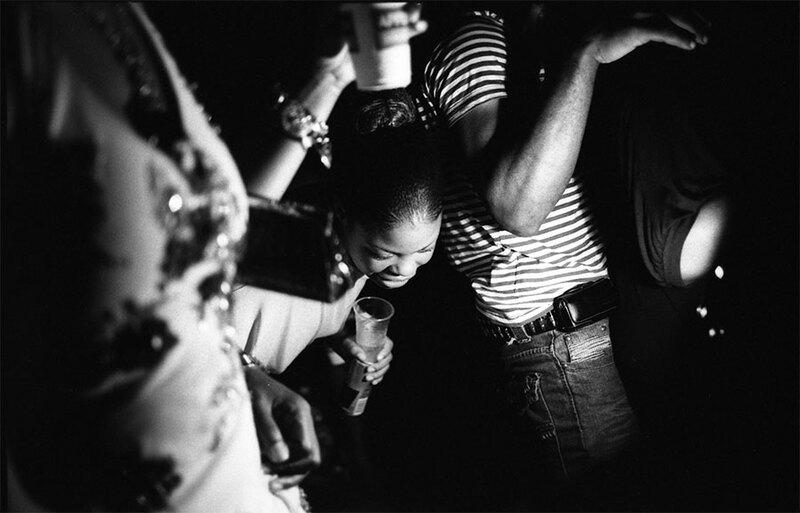 If anything, Passa Passa is the ultimate ghetto ball fused with the archetypal house party. The magnificence of scope, feeling and attitude is something you haven’t found an equivalent to anywhere, ever. The nocturnal panorama of young Kingstonians riding the pendulum between hard fury and a poetic sublime is the kind of medicine that only Jamaica can provide.